Every truck owner knows, how hard it is to keep the interior in good condition, especially if the truck is used for off-road, cargo transportation, etc. Besides, mud and moisture with time can negatively influence the factory carpeting and as a result decrease the condition of the truck and its resale value. To prevent this from happening, it is a good idea to take care of the truck interior right away. 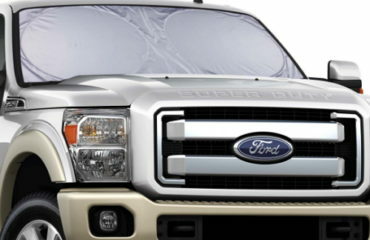 A set of quality floor liners is something that will help keeping the truck interior in top condition for years to come. Rubber or polyurethane floor liners with raised edges are the most popular solution the truck owners select to keep their truck’s interior in top condition. Raised lips in combination with waterproof material gather mud, dirt and debris inside and do not allow slush to leak on the carpet. You can always remove the liners from the vehicle, clean them and leave dirt outside. There are so many rubber and polyurethane mats on the market. Many car makers offer OEM floor liners as an option, and you can pick a set right from the dealer. 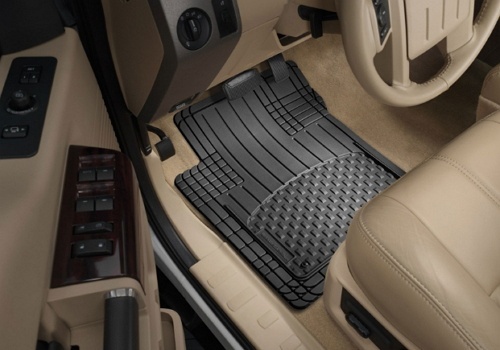 Another popular brand that specializes in quality floor liners is WeatherTech. They measure the floor area of the vehicles with a special laser tool, which ensures perfect fitment. Another popular floor liner brand on the U.S. market is Husky liners. They also offer quality rubber liners that not only fit perfectly, but also go all the way up to the pedals, so the driver’s side mat does not interfere with the pedals when you drive. 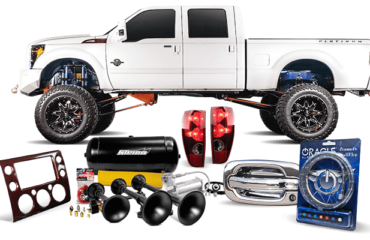 Besides, such brands as Lloyd, Michelin and many others offer numerous universal and custom solutions for the American trucks. If you use your truck as a daily driver and do not really need too rugged interior look, there is another aftermarket solution. Floor liners by 3D MAXpider do not look too heavy-duty or commercial, yet they feature raised edges that help keeping slush, dirt and obstacles inside. These floor mats are softer, than the regular thermoplastic or rubber mats and are non-toxic. Another distinctive feature of these floor liners is soft inner layer that consists of foam and prevents drivers’ feet from fatigue. Official 3D MAXpider website claims, this foam provides good vibration and sound insulation. Carpet floor mats are available for all major truck applications. Unlike the rubber or vinyl mats, they look and feel so comfortable in the truck interior. It is always a good idea to pick the carpet truck mats to match the interior color for that finished look. Such mats wear out quicker, than rubber mats, and are a subject to wear, especially in the driver’s side under the pedals. However, they are normally not very expensive, so fans of soft and stylish interiors prefer carpet floor mats over rubber all-weather solutions. 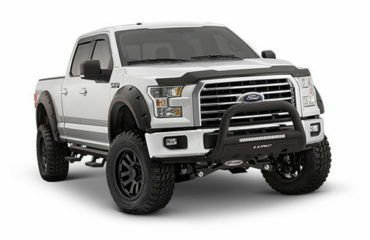 If you are using your truck as a daily driver and don’t use it for off-road, it is a good idea to consider a set of carpet mats for your vehicle.